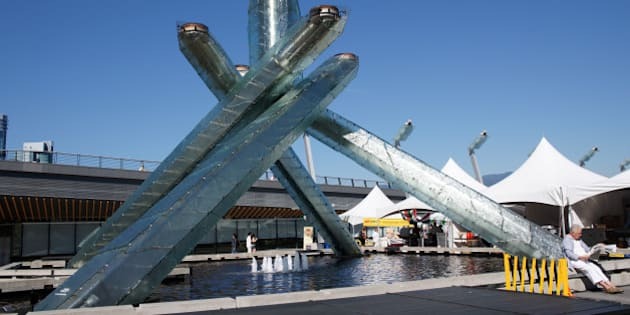 VANCOUVER - More than four years after the Olympic flame went out on the West Coast, the Vancouver Organizing Committee released its final reports Thursday and turned out the lights. VANOC said the Games broke even, with total revenues and expenses just shy of $1.9 billion. The group that organized the 2010 Winter Olympics and Paralympics has no more assets or outstanding debts and has asked government to dissolve the company. "It was 11 years ago yesterday we took the stage in Prague and we made promises," CEO John Furlong said in an interview. "We made commitments in the name of the country, we made commitments to the IOC and we made commitments to the Canadian public that we would deliver the Games in the black and so we set out to do that." It was a challenging journey, he said, pointing out the global economic collapse in 2008. "I think that worried us," Furlong said. With the Sochi Games in the not-so-distant past and fresh concerns about the World Cup in Brazil, Furlong said there has been much discussion about the cost of such large events and the difficulties some countries have had. "I look at our situation and think we are a very good model of how to do these events. This is, to me, very good for the Canada brand of being reliable, being trustworthy, keeping your promises, being on time and on budget, being responsible about the things that really matter to the public," he said. At the end of the day, the final financial report said the federal government contributed $74.4 million, the British Columbia government $113.4 million and other governments $176 million. The International Olympic Committee kicked in $659 million in sponsorships and contributions to help cover the tab. Ticket sales raised $269 million, while licensing and merchandising accounted for another $54 million. An independent audit by Ernst and Young confirmed the results. The final financial statement said all sites have been remediated and turned over to the province and local governments as legacy venues and the organizing committee asked government to dissolve the company after its final meeting on June 27. The final report said several claims and disputed contracts have been resolved since the event, along with an 18-month coroner's review of the Whistler Sliding Centre, where a Georgian luger was killed in a training accident. Critics point out that some of the most expensive infrastructure of the Games, including the Sea to Sky Highway, the Vancouver Convention Centre and a rapid transit line to the airport were not included in the final tally. The expansion of the Vancouver Convention Centre cost $883 million, $388 million over budget. The SkyTrain's Canada Line linking Vancouver to the airport cost $2.1 billion. But Furlong said all the buildings and infrastructure are currently in use and board chairman Ken Dobell said the Games left a debt-free legacy for the country. "First of all, it cost what it was supposed to cost," Dobell said. Significant capital upgrades were made that had to happen sooner or later, and the host communities now have recreation and community facilities for residents. "Was it a worthwhile endeavour? The way Vancouver did it, for sure," he said.